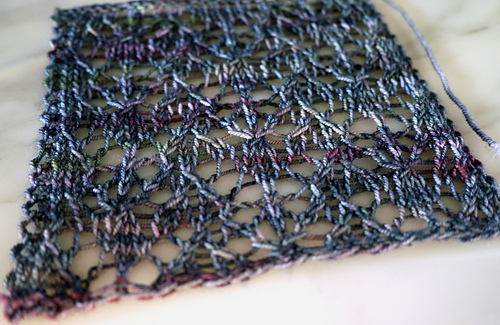 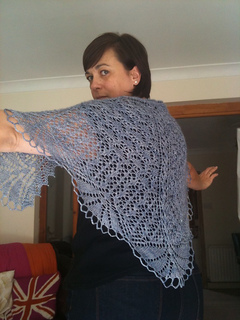 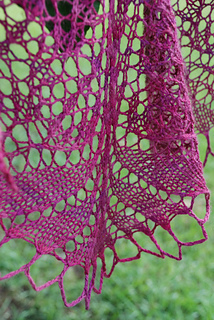 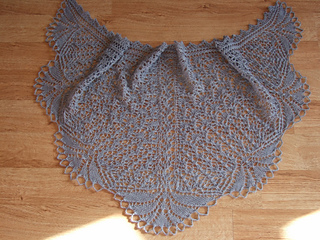 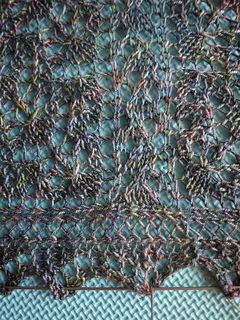 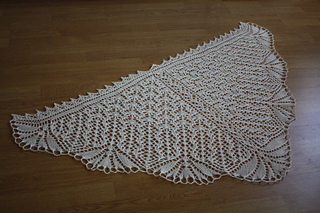 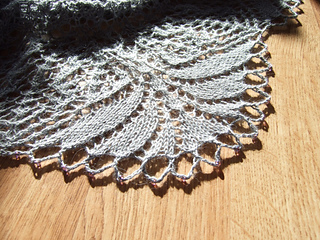 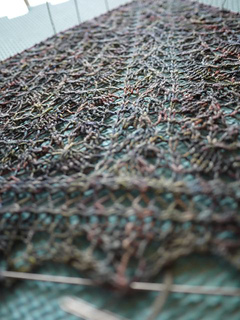 This started life as a Socktopus Mystery Shawl KAL for spring 2011, but is now available as the full pattern only. 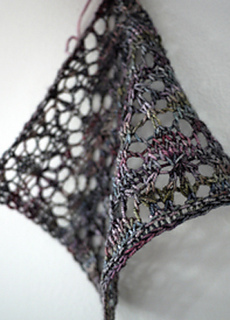 Spriteling is a triangular shawl taking inspiration from the woods and various lace traditions, including Shetland and Scandinavia. 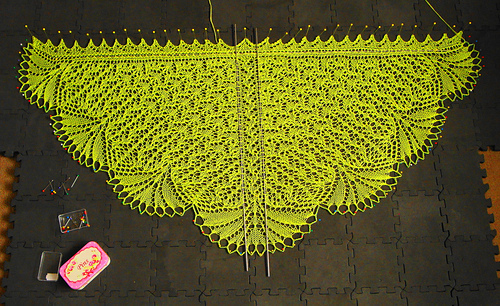 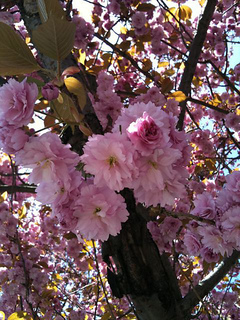 Spriteling has feminine curves and meanderings, with a few thorns here and there.